The day after the budget, what kind of a budget is it, for the media? So much for the niceties over definitions. 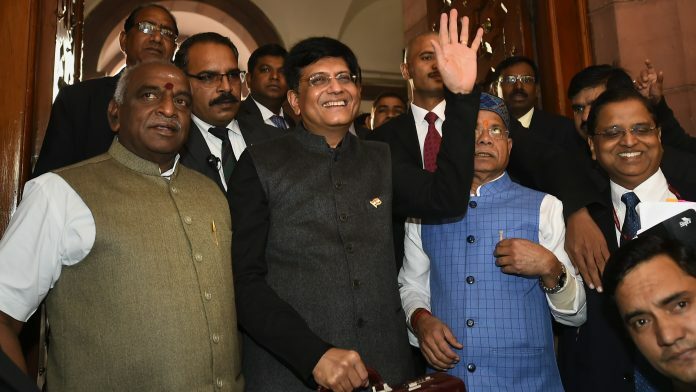 What did the media make of the Modi government’s 2019-20 budget? The newspapers all agree with Swaminathan S. Anklesaria Aiyar: “This is the mother of all election budgets”, (ET page 1). Express puns on one of the budget’s major offerings: “Directed Benefit Transfer” — a support scheme for farmers. To “crunch” and “tease out the Budget details and their implications,” ET boasts a 16-page “Power Packed Special Budget Edition” — the longest for any newspaper. BS devotes 11+ pages while the mainstream papers keep it shorter between 5 to 6 pages. Express and ET analyse the budget’s politics on page 1. “After tri-state loss BJP get new talking points for election campaign.” IE considers the budget in the context of BJP’s recent electoral setbacks and “PM treads middle path on populism” looks at his balancing politics with fiscal prudence (ET). “The fiscal deficit missed again” bother BS and ET which think that what the FM called a “glide” was a “slip” (BS). However, opinion on the budget is largely favorable — at least in the newspapers’ own editorials, barring The Hindu. ET doesn’t have an opinion today: it leaves that to economic experts like C. Rangarajan, Bibek Debroy and Jahangir Aziz. In “For the campaign,” Express believes that the budget tries to “wrest back the political initiative” with its “targeted interventions…. aimed at three key constituencies which have been visibly unhappy…” — farmers, the unorganised sector and the middle class. However, while it recognises that it is “hard to argue against hand outs to distressed or generally disadvantaged sections…” it highlights that these are at the cost of other existing welfare measure: MGNREGS “gets less next year…” so do Ujjwala (LPG connections for the poor), Swachh Bharat, etc. An interesting sidelight: Hero Homes and Magic Bricks have front page advertisements in TOI: clearly the real estate sector, said to be one of the beneficiaries of the Union Budget, is already happy.